Vauxhall fleet sales and remarketing director James Taylor has been promoted to the wider role of general sales director, effective immediately. The newly created role sees Taylor become responsible for all vehicle sales activities, including fleet but also other channels. 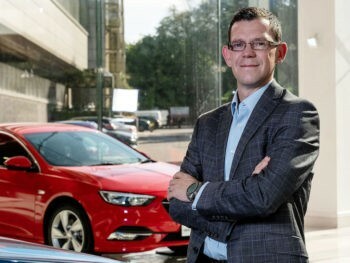 “This well-earned promotion gives James the scope to concentrate as much, and more, on B2C new-vehicle channels as on pure B2B and used vehicle remarketing,” said Stephen Norman, group managing director Vauxhall Motors and Opel Ireland. Stephanie Howson remains as Vauxhall’s retail sales director, reporting hierarchically to Norman and now functionally to Taylor.